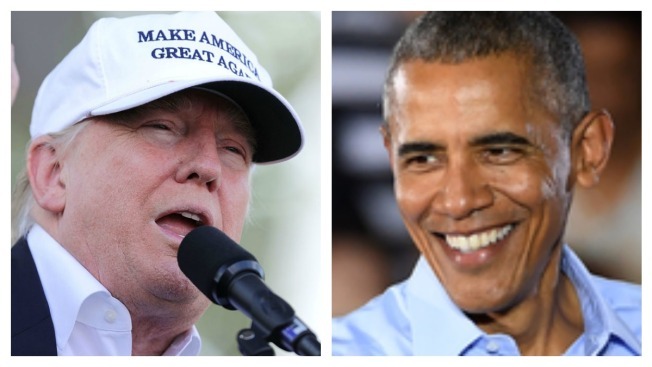 Republican presidential nominee Donald Trump and President Barack Obama will both be in New Hampshire over the next week in the final push of the campaign. Trump will be in Atkinson on Friday and in Manchester on Monday, according to his campaign. His daughter, Ivanka Trump, is scheduled to appear in Manchester, Hollis and Nashua on Thursday. The appearances are part of the last effort by the Trump campaign to reach voters before the presidential election next week. Obama will be in New Hampshire on Monday afternoon, campaigning for Democratic presidential nominee Hillary Clinton, U.S. Senate candidate Maggie Hassan and gubernatorial candidate Colin Van Ostern. The exact time and place have yet to be announced. Clinton's daughter, Chelsea Clinton, is scheduled to speak at Keene State College and Dartmouth College on Friday.